Macau’s casino gross gaming revenue (GGR) for the first 15 days of November indicates – were the average daily rate extended across the entire month – a year-on-year fall for November in the range of 31 percent to 34 percent, say several analysts quoting unofficial industry returns. “In general, November is seasonally weak (about 8 percent to 14 percent month-on-month decline versus October in 2010-2014), but this November may be poised for 15 percent to 17 percent month-on-month decline,” said a note issued on Tuesday from analysts Vitaly Umansky, Simon Zhang and Bo Wen at brokerage Sanford C. Bernstein Ltd.
November includes a weekend when the Macau Grand Prix is staged. 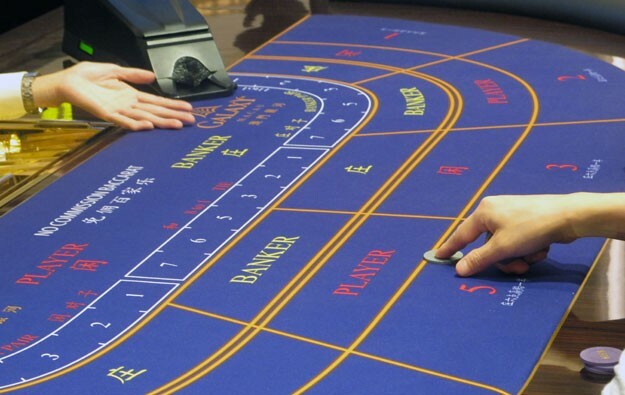 A number of analysts have previously commented that while the event draws many tourists interested in non-gaming attractions, it is less popular with gamblers. That is said to be due to factors including hotel room rates that are higher than the seasonal weekend average, noise from the racing cars and traffic disruption as vehicles are diverted from the racing circuit, which is composed of city streets. “Given the Macau Studio City opening October 27, we believe investors will find market GGR trends disappointing,” said a note the same day from David Bain of brokerage Sterne Agee CRT, referring to industry returns for the first 15 days of November. “One consideration for the lack of immediate market growth from the opening of Studio City should be that the property caters solely to mass. VIP represents 53 percent of total [Macau] GGR and is top heavy in terms of GGR generation,” added Mr Bain, referring to the decision of Studio City’s majority owner Melco Crown Entertainment Ltd to open the resort with no junket rooms for VIP play. “The market is in the midst of a transition away from VIP which should remain in secular decline,” said analysts David Katz and Brian Davis of Telsey Advisory Group in a note on Tuesday. Sanford Bernstein noted that China’s October data on total social financing on the mainland remained “weak”. The growth of such financing has historically shown a strong positive correlation with Macau’s VIP gambling segment, said the brokerage. “Liquidity is crucial in the VIP segment as it allows easier and less expensive credit play by providing junkets with cheaper and more easily available capital while also increasing player liquidity/access to cash. We believe the continued liquidity tightening in China (coupled with China’s crackdown on underground banking) creates continued headwinds for VIP,” said the Sanford Bernstein team. The institution indicated however that Melco Crown’s market share of Macau table games GGR was up 1.6 percentage points month-on-month in the period from November 1 to 15 inclusive, to a 15 percent share. “Melco Crown’s market share is at its highest level, as it takes [the] benefit of Studio City’s penetration on [of the] mass market in Cotai,” added Sanford Bernstein.